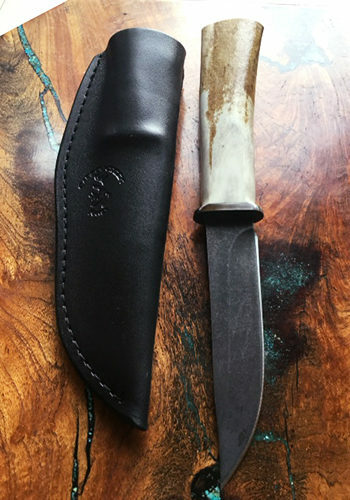 Custom caribou handle knife. Has a 420 J2 Stainless Steel blade. Comes with leather sheath. Overall length 9 1/2 inches. Blade length 4 1/2 inches. 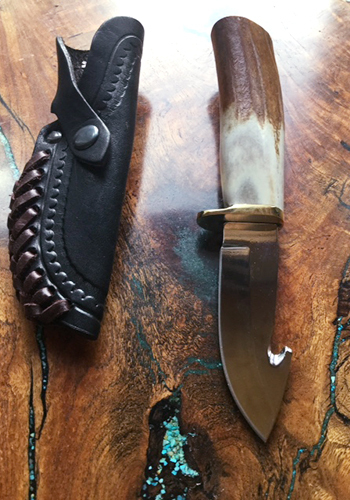 These amazing Antler Handle Gut-Hook Knife with a 4 1/2 inch blade and a leather sheath is beautiful with its caribou antler handle and 440 C stainless steel blade. A perfect for gift for any knife collector. Each piece is made from a real shed antler from a caribou. 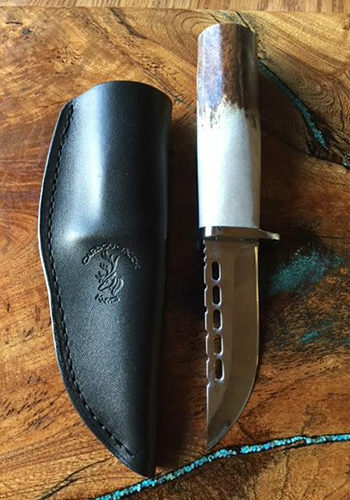 You will want to have the entire collection of these wonderful Antler Handled knives. 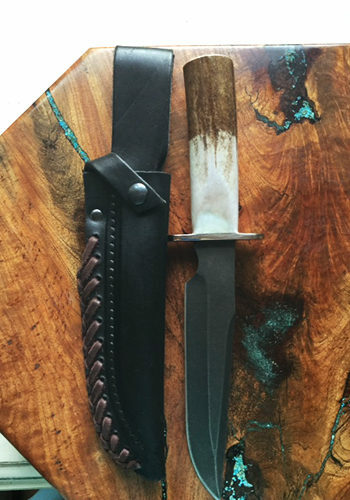 These knives are truly a unique gift for the outdoorsman in your life. 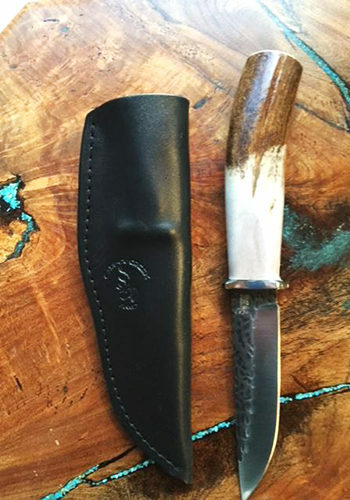 This amazing Antler Handle Gut-Hook Knife is a perfect for gift for any knife collector. Each piece is made from a real shed antler. You will want to have the entire collection of these wonderful Antler Handled knives. These knives are truly a unique gift for the outdoorsman in your life.